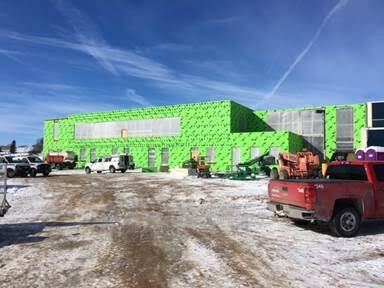 This month we got the entire building enclosed. We are almost done framing walls on 1st floor and have a lot of the mechanicals roughed in. 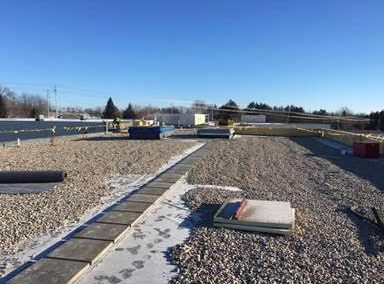 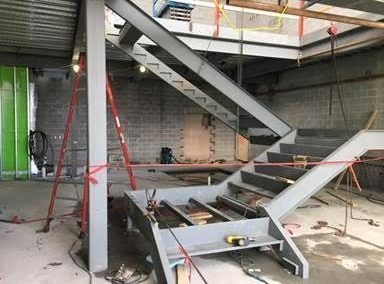 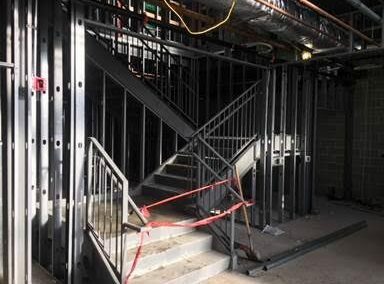 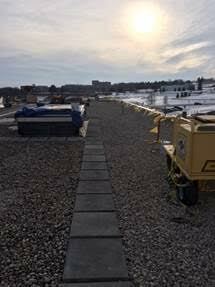 We worked on installing the stairs at the main entrance of the addition and also started installing the roof this week. 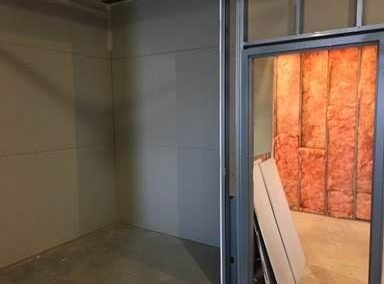 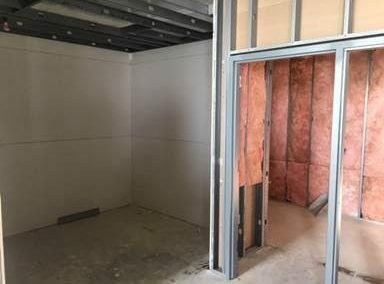 We were given the go ahead to start hanging drywall after a walkthrough from the city inspector. 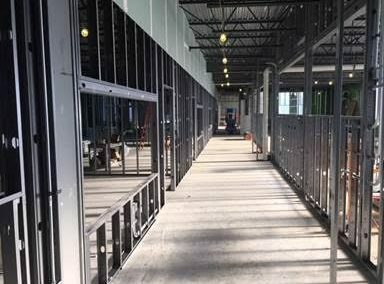 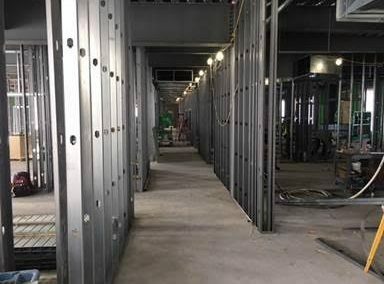 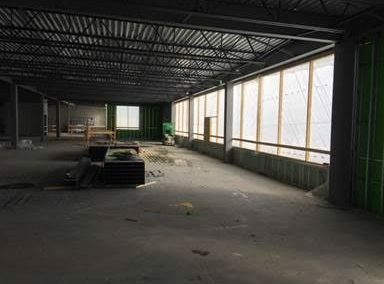 The walls are all framed on 2nd floor and we started installing mechanical systems. 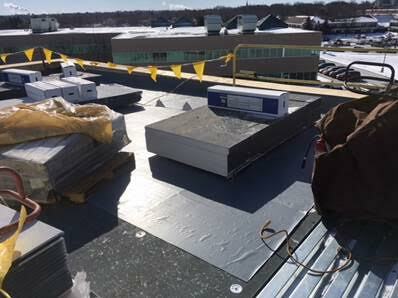 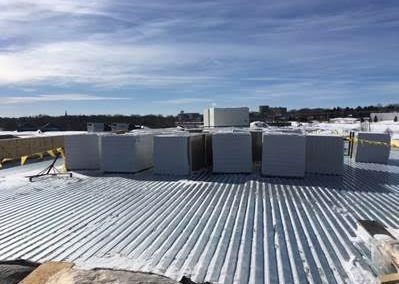 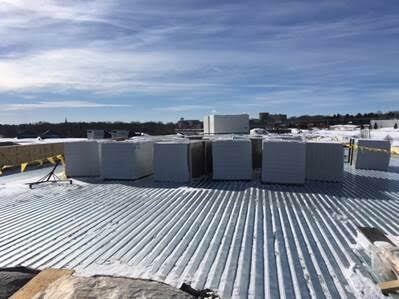 We also finished the roof this week and are now water tight. 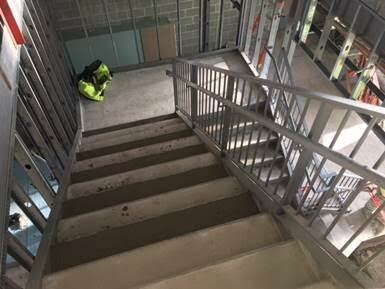 We poured the concrete for the stairs at the main entrance and they are now ready for use.